Oppo F7 is an attractive smartphone now a day. Recently iPhone release iPhone X and this device is similar to iPhone X. 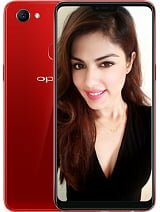 This device is available on Bangladesh on All oppo showroom.